For those that don’t know me … I am a crystal (the mineral/rock kind!) junkie. It seems there’s always another one sparkling and nudging me to take it home. Some become part of the Yoga & Healing space so that everyone can share their energies. Others come home with me and over the years I have gathered quite a collection. Displayed around the house they ground and enhance the space. I have become accustomed to the prompts and intuitive nudges that I receive that a certain one will want to come along with me for the day. I have learnt that they quietly support, guide and yes… protect me – they know when I will need their company. This is my recent experience with Sugilite which I have in a bracelet form – here’s the photo of it – now with the Aqua Aura beads which I have just added. Using crystals in my healing work plus living and working space as taught me that there is so much wisdom and guidance that they willingly offer us. They really are friends and allies and this story is to demonstrate to you just how incredibly powerful they are. In August last year my eldest brother, Bob, died suddenly of a heart attack whilst running on the treadmill. So in the last months of 2015 I had to take leave of the studio and head overseas to family. Leading up to Christmas I was back at work and going through the motions of holding the business and myself together but deep down was sinking. I was unenthusiastic for the Christmas break and 2016 was simply another year I was having to face. The dark space I found myself in – I kept private. Just last week my Sugilite bracelet which I had made maybe 2 years ago – came to my mind – I hadn’t worn it for some time and had always meant to revamp it. So obviously that set me thinking – wow! But also why Sugilite as I knew it as a wonderful stone for meditation and opening up the crown chakra? Later that evening I delved into research. Lo and behold the first sentence that caught my eye was that Sugilite is a stone of Archangel Michael – which made me smile – thank you Archangel Michael 🙏and instantly felt that safe warm shield of protection. Also Sugilite is linked to St. Germaine and Archangel Zadkiel and the Violet Flame. 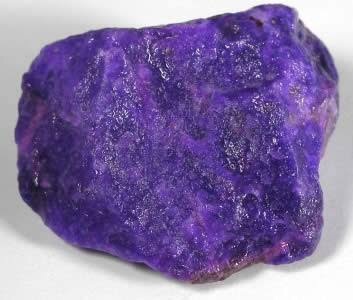 Sugilite is one of the most powerful stones for calling in the Violet Flame according to Robert Simmons. The Violet Flame clears negativity, lifts the vibration, removes negative attachments, cleanses and clears the aura. Carrying or wearing Sugilite sets up a ‘shield of light’ around the wearer. And there’s more …….. Sugilite will lift depression, negative thoughts and bring back joy, laughter and our childlike innocence. It reconnects you to your Inner Child and Souls purpose and reconnecting you to why you are here on earth at this time. When life gets overwhelming Sugilite gently brings you back to your path. It it is a stone recommended for people under the cloud of cancer as it helps to counter the mental and emotional stresses that cause dis-ease. A loving stone – it draws in powerful healing energies. Think of Sugilite as a beacon of light and hope when all around you feels dark. Confidence, optimism, joy and gentle healing is Sugilites’ gift.